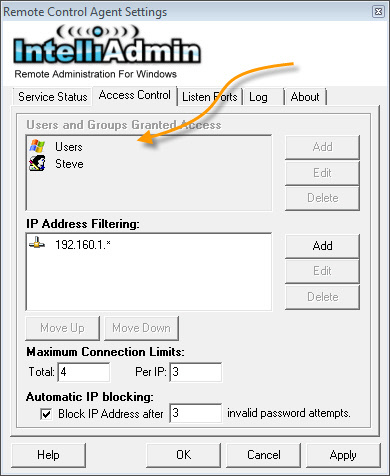 IntelliAdmin Remote Control distribution tool is used to manage and install the remote control server across your LAN. There are three types of users: Windows, Standard, and VNC. 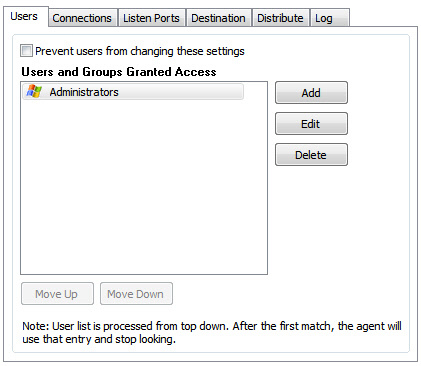 Windows users are specific windows user accounts, or windows security groups. 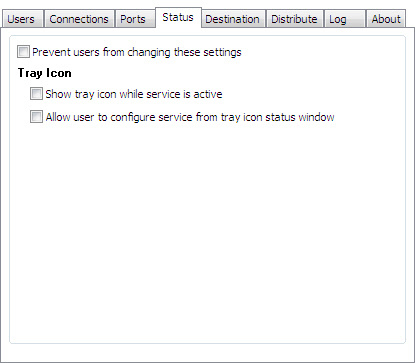 A standard user is a simple username and password pair – it has no relation to a windows user account. 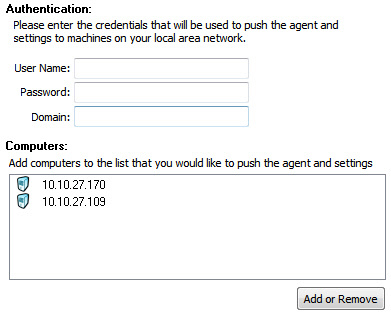 A VNC user account is a password that will allow VNC clients such as RealVNC to access the agent – keep in mind that VNC accounts do not provide any encryption. The order of the accounts is important. The remote control agent will process them from top to bottom. Why should you pay attention to the order? Lets look at an example. 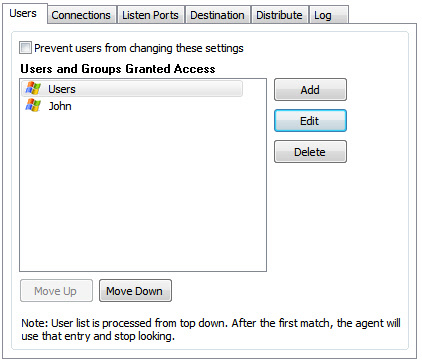 A good rule of thumb is to put the user accounts first, then groups. 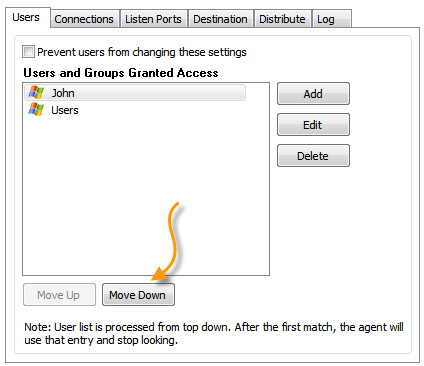 If you need to change the position of a user, simply use the "Move Up" and "Move Down" buttons. 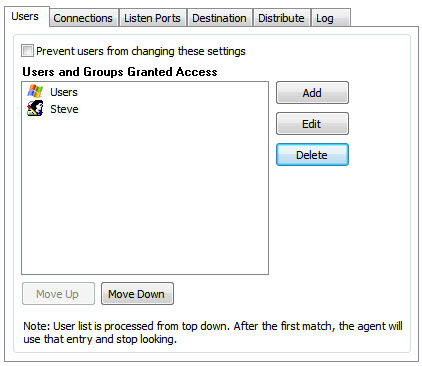 In the case shown above, the permissions of the "Users" group would take effect. If the "Steve" account were to be moved up, then it would take precedence over the "Users" group. 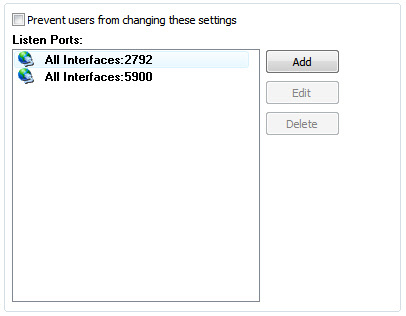 Try to keep the number of accounts to a minimum – especially Windows accounts. 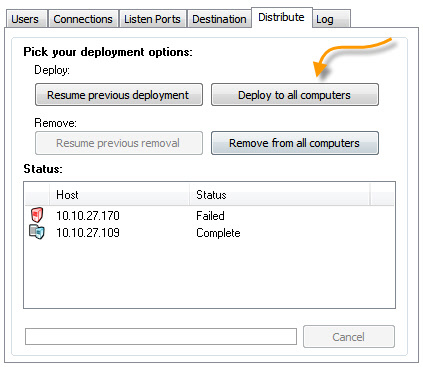 Each additional account requires more processing time, and it will lenghthen the time it takes for the viewer to login to the remote system. 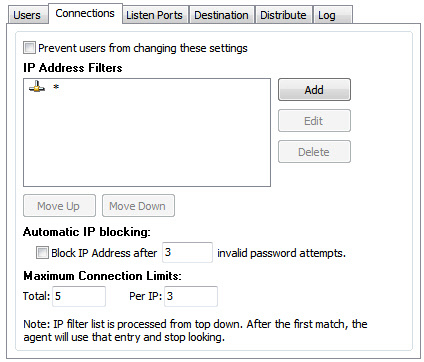 The agent would see if the remote viewer was connecting from 192.160.1.1 – if it was the connection would be terminated. Make sure you have at least one "Allow" rule, because the agent will not allow a viewer to connect unless it matches at least one rule. 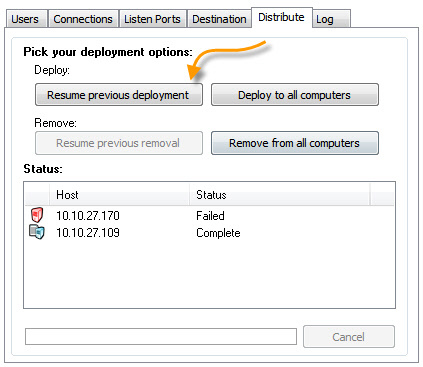 This is why the default configuration has an "allow all" rule included. When a viewer is blocked because of an automatic ban, you can see this in the agent’s log. This area of the "Destination" tab allows you to create a list of computers. This list can be modified by clicking on the "Add or Remove" button. 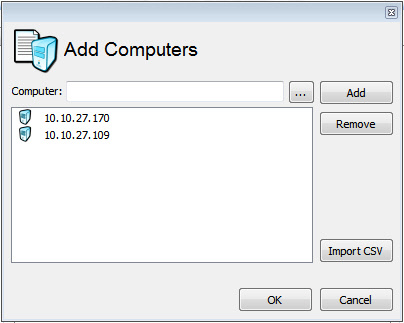 They can be imported using a CSV text file, selected from a workgroup/domain, or entered manually. In addition to resuming computers that were never processed, it will also attempt to install to computers that failed. This is a good way to keep retrying failed machines. 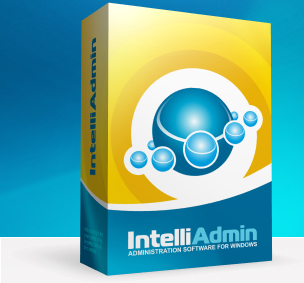 If you still have any questions please feel free to send us an email at: support@intelliadmin.com and will be glad to help.